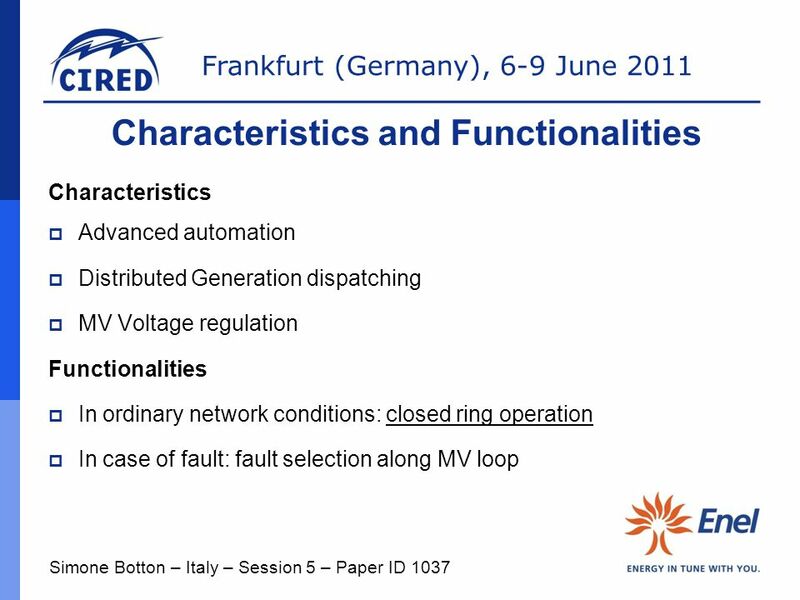 1 ADVANCED MANAGEMENT OF A CLOSED RING OPERATED MV NETWORK: ENEL DISTRIBUZIONE’S P4 PROJECT. 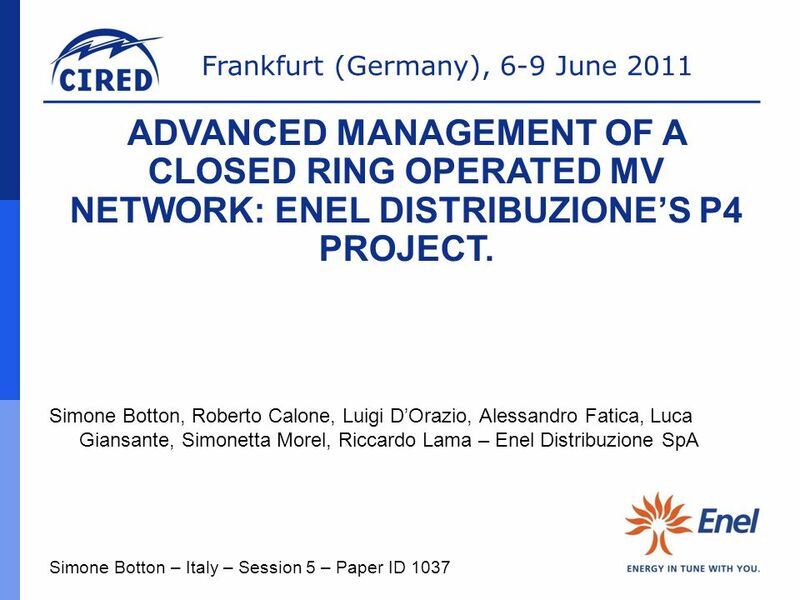 Download ppt "ADVANCED MANAGEMENT OF A CLOSED RING OPERATED MV NETWORK: ENEL DISTRIBUZIONE’S P4 PROJECT. 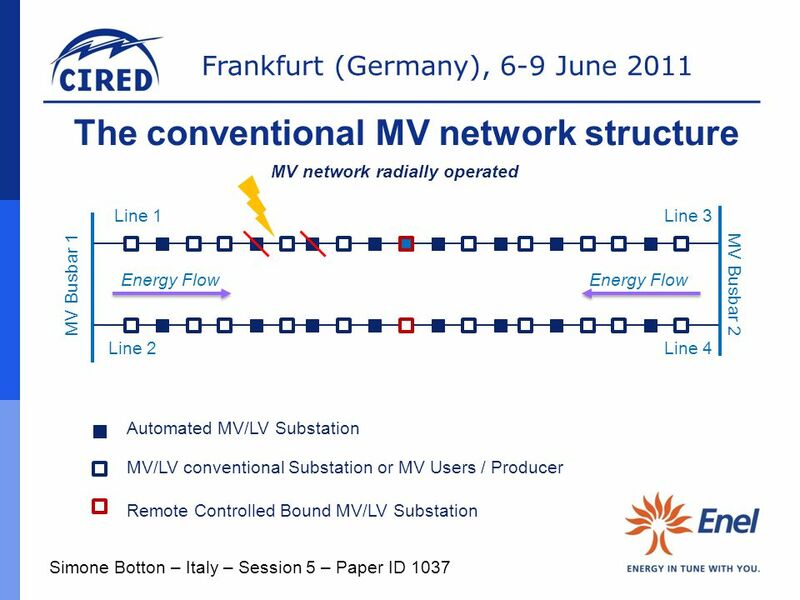 Simone Botton, Roberto Calone, Luigi D’Orazio, Alessandro Fatica,"
Frankfurt am Main (Germany), June 6-9, 2011 Design and Implementation of an Innovative Telecontrol System in the Vattenfall Medium- Voltage Distribution. 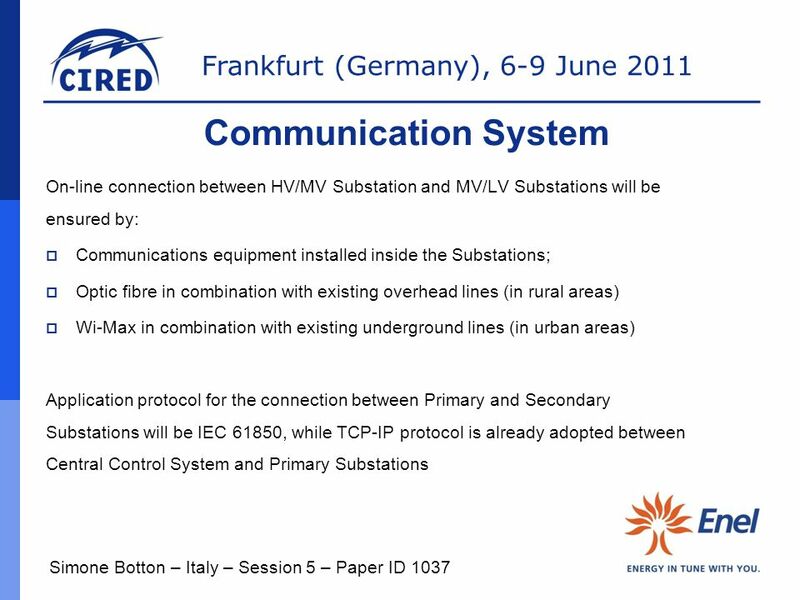 Hanover-Fair 2002 IEC The world-wide standard for communication in substations HM IEC   Substation Protocols Benefits Customer. The research leading to these results has received funding from the European Community's Seventh Framework Programme (FP7/ ) under grant agreement. 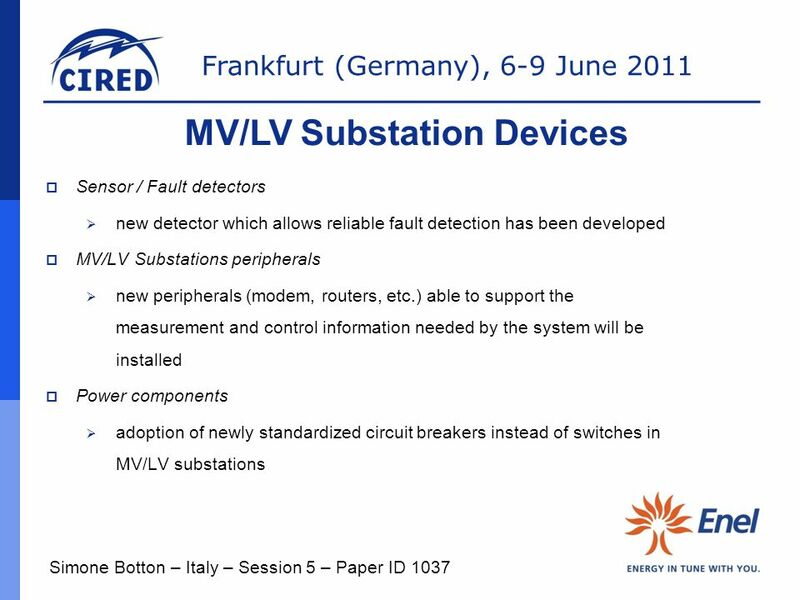 1 Pacific Gas & Electric Company MTS: Evolution of the Electric Distribution System Manho Yeung, Senior Director, System Planning and Reliability PG&E. Megger - Substation overview product groups, 2600 products. 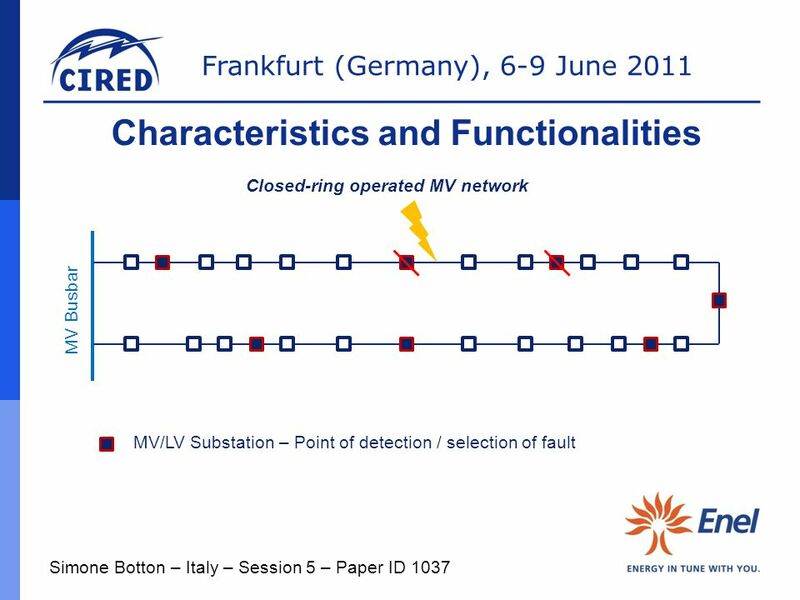 Frankfurt (Germany), 6-9 June 2011 EN voltage dips and swells classification as an instrument for responsibility sharing Maurizio Delfanti Department. Smart Grids for Future City May Mln Clients 45 Mln Smart Meters 30 Countries 96 GW Installed Capacity 2. 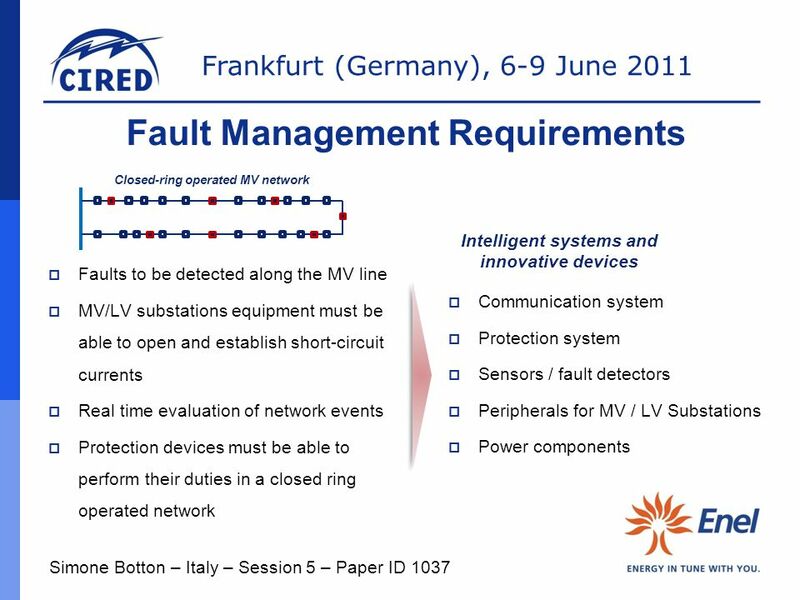 © ABB Group June 10, 2015 | Slide 1 1MRS A self healing power system for the accurate fault location and zone concept T&D Smart Grids Europe 2012. By Lauren Felton. The electric grid delivers electricity from points of generation to consumers, and the electricity delivery network functions via two. ABB Connectivity & Smart Grid Ahmed Fahmy,Senior Technical Promoter Novmber 2014 NEMA technical workshop. 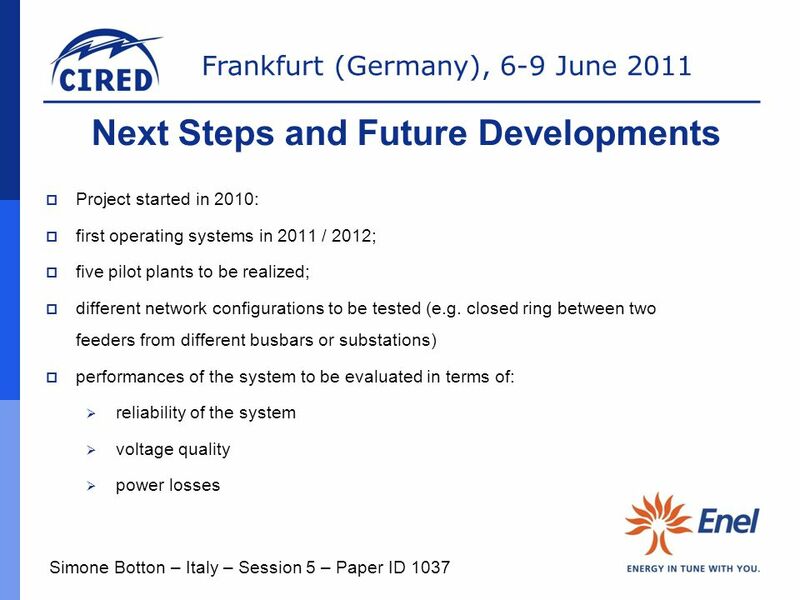 Frankfurt (Germany), 6-9 June 2011 Why operator training simulators (OTS) ?  train operational procedures to new staff  experience unusual/disturbance. 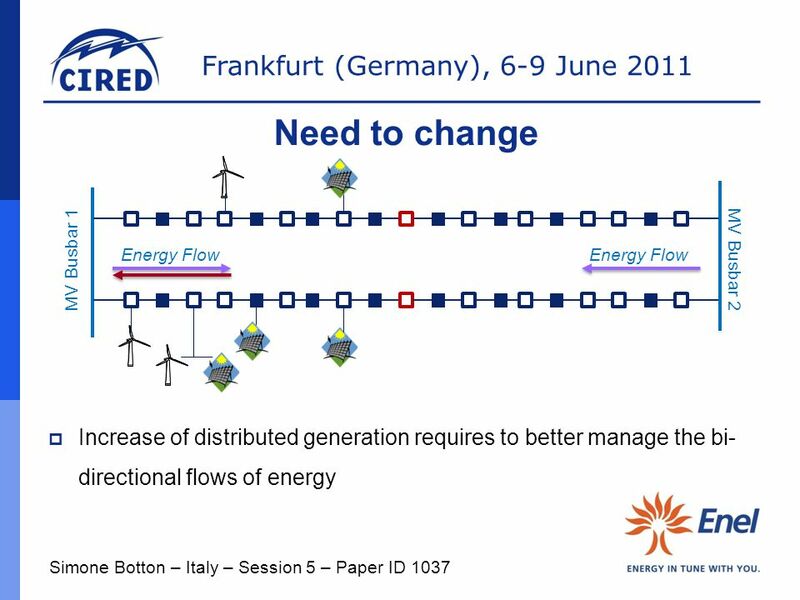 © ABB Group August 13, 2015 | Slide 1 Power Generation Service Life Cycle Management for Power Plants Daniel Looser, Power Gen Europe in Amsterdam, June. 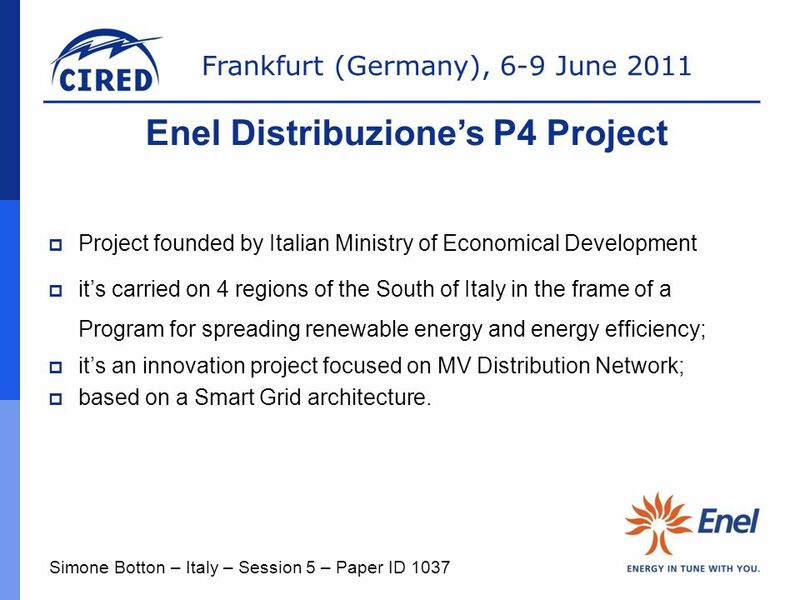 Frankfurt (Germany), 6-9 June 2011 Enel Smart metering in Endesa Meters and More technology Valerio Vadacchino Business Development of Smart Grids and. 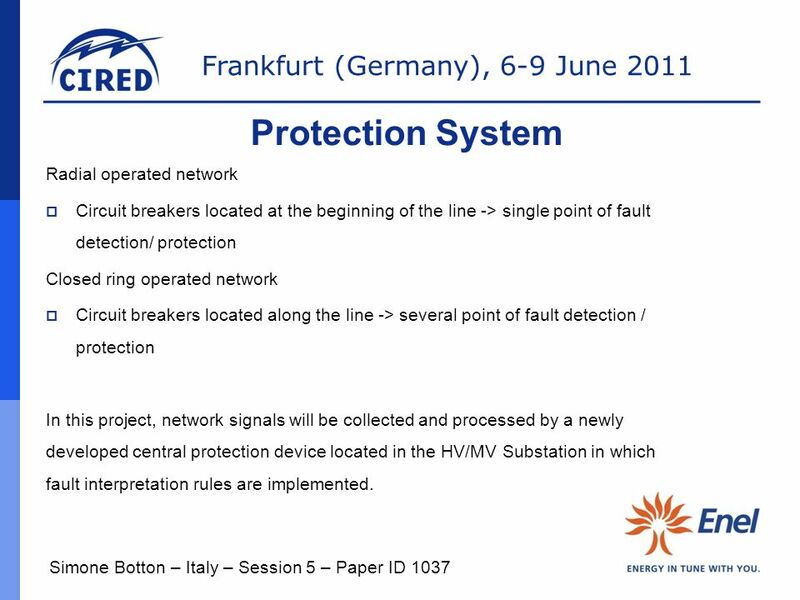 Frankfurt (Germany), 6-9 June 2011 John MILLAR – Finland – RT.1a/5a Distribution Network Planning and Underground Cables Keeping overview while attending.